Su Shi ( 苏轼 1037–1101) was a writer, poet, artist, calligrapher, pharmacologist, and statesman of the Song Dynasty, and one of the major poets of the Song era. His courtesy name was Zizhan (子瞻) and his pseudonym was Dongpo Jushi (东坡居士 “Resident of Dongpo”), and he is often referred to as Su Dongpo (苏东坡). Besides his renowned poetry, his other existent writings are of great value in the understanding of 11th century Chinese travel literature as well as details of the 11th century Chinese iron industry. Su Shi was born in Meishan, near Mount Emei in what is now Sichuan province. His brother Su Zhe (苏辙) and his father Su Xun (苏洵) were both famous literati. Su's early education was conducted under a Taoist priest at a local village school. Later in his childhood, he studied under his mother, herself a highly educated woman. Su married at age 17. In 1057, when Su was 19, he and his brother passed the (highest-level) civil service examinations to attain the degree of jinshi, a prerequisite for high government office. His accomplishments at such a young age attracted the attention of Ouyang Xiu, who became Su's patron thereafter. Ouyang had already been known as an admirer of Su Xun, sanctioning his literary style at court and stating that no other pleased him more.When the 1057 jinshi examinations were given, Ouyang Xiu required—without prior notice—that candidates were to write in the ancient prose style when answering questions on the Confucian classics.The Su brothers gained high honors for what was deemed impeccable answers and achieved celebrity status. Beginning in 1060 and throughout the following twenty years, Su held a variety of government positions throughout China; most notably in Hangzhou, wher he was responsible for constructing a pedestrian causeway across the West Lake that still bears his name: sudi (苏堤). He had served as a magistrate in Mizhou, which is located in modern day Zhucheng County of Shandong province. Later, when he was governor of Xuzhou, he once wrote a memorial to the throne in 1078 complaining about the troubling economic conditions and potential for armed rebellion in Liguo Industrial Prefecture, wher a large part of the Chinese iron industry was located. A contemporary Song Dynasty portrait painting of Su ShiSu Shi was often at odds with a political faction headed by Wang Anshi. Su Shi once wrote a poem criticizing Wang Anshi's reforms, especially the government monopoly imposed on the salt industry. The dominance of the reformist faction at court allowed the New Policy Group greater ability to have Su Shi exiled for political crimes. The claim was that Su was criticizing the emperor, when in fact Su Shi's poetry was aimed at criticizing Wang's reforms. It should be said that Wang Anshi played no part in this actions against Su, for he had retired from public life in 1076 and established a cordial relationship with Su Shi. Su Shi's first remote trip of exile (1080–1086) was to Huangzhou (now in Zhejiang province). This post carried a nominal title, but no stipend, leaving Su in poverty. During this period, he began Buddhist meditation. With help from a friend, Su built a small residence on a parcel of land in 1081. While banished to Hubei province, he grew fond of the area he lived in, and many of his considered best poems were written in this period. In 1086, Su and all other banished statesmen were recalled to the capital due to the ascension of a new government. However, Su was banished a second time (1094–1100) to Huizhou (now in Guangdong province) and Hainan island. In 1098 the Dongpo Academy in Hainan was built on the site of his residence that was established while in exile. 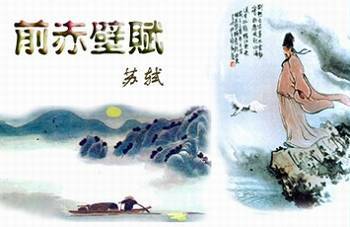 In Huangzhou, Su Shi lived at a farm called Dongpo ('Eastern Slope'), from which he took his literary pseudonym. Although political bickering and opposition usually split ministers of court into rivaling groups, there were moments of non-partisanship and cooperation from both sides. For example, although the prominent scientist and statesman Shen Kuo (1031-1095) was one of Wang Anshi's most trusted associates and political allies, Shen nonetheless befriended Su Shi and even collaborated with him in compiling the pharmaceutical treatise of the Liang Fang (良方; Good medicinal formulas). It should be noted, however, that Su Shi was aware that it was Shen Kuo who, as regional inspector of Zhejiang, presented Su Shi's poetry to the court sometime between 1073 to 1075 with concern that it expressed abusive and hateful sentiments against the Song court. It was these poetry pieces that Li Ding and Shu Dan later utilized in order to instigate a law case against Su Shi, although until that point Su Shi did not think much of Shen Kuo's actions in bringing the poetry to light. After a long period of political exile, Su received a pardon in 1100 and was posted to Chengdu. However, he died in Changzhou, Jiangsu province after his period of exile and while he was en route to his new assignment in the year 1101. Su Shi was 64 years old. After his death he gained even greater popularity, as people sought to collect his calligraphy, paintings depicting him, stone inscriptions marking his visit to numerous places, and built shrines in his honor. He was also depicted in artwork made posthumously, such as in Li Song's (1190-1225) painting of Su traveling in a boat, known as Su Dongpo at Red Cliff, after Su Song's poem written about a 3rd century Chinese battle. Calligraphy by Su Shi: detail of 寒食帖Around 2,700 of Su Song's poems have survived, along with 800 written letters. Su Dongpo excelled in the shi, ci and fu forms of poetry, as well as prose, calligraphy and painting. Some of his notable poems include the First and Second Chibifu (赤壁赋 The Red Cliffs, written during his first exile), Nian Nu Jiao: Chibi Huai Gu (念奴娇 赤壁怀古 Remembering Chibi, to the tune of Nian Nu Jiao) and Shui diao ge tou (水调歌头Remembering Su Che on the Mid-Autumn Festival, 中秋节). The two former poems were inspired by the 3rd century naval battle of the Three Kingdoms era, the Battle of Chibi in the year 208. The bulk of his poems are in the shi style, but his poetic fame rests largely on his 350 ci style poems. Su Shi also founded the haofang school, which cultivated an attitude of heroic abandon. In both his written works and his visual art, he combined spontaneity, objectivity and vivid descriptions of natural phenomena. Su Shi wrote essays as well, many of which are on politics and governance, including his Liuhoulun (留侯论).